While cowashing your curls has many benefits, if it’s done incorrectly it can also cause more harm than good. While the idea behind cowashing makes it seem super easy; scrub your curls with some conditioner and consider it done, there is a method to cowash curls the right way. Saturate: First things first, you need to completely saturate your curls with water prior to cowashing. Depending on your hair’s thickness, this could take a few minutes so don’t rush the process and make sure each curl is thoroughly wet. 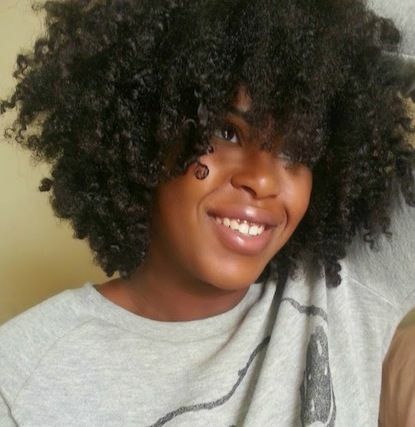 Section: Before you begin cowashing your curls, section them out. This will allow you to really work with each individual strand to make sure they’re getting properly cleansed. Massage: When cowashing, don’t forget to pay attention to your scalp as well to work on breaking up any remaining buildup or dandruff. You can do this by really taking your time to carefully massage your scalp with your fingertips. A good massage will also help encourage blood flow, which leads to increased curl growth. Detangle: Before rinsing out the cowash, make sure to take the time to carefully detangle your curls while they’re still in sections. You use a wide toothed plastic comb or your fingertips. Start with gently working through the tips, never pulling or tearing, then carefully work your way up to your scalp. Rinse: Sometimes we can lazy at this stage in the process, so don’t forget to completely rinse your curls with cool water. You’re going to want to remove about 90% of the conditioner, allowing about 10% to remain in your hair. Leaving a large amount of condition in your curls will mean it’s going to take forever for your hair to try. Instead leave a small amount to create slip and help continue to detangling, as well as speeding up the drying time.